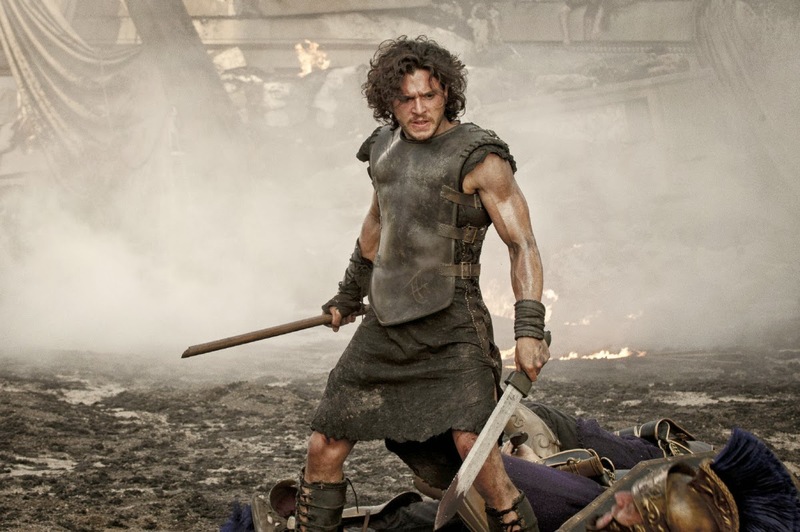 A derivative tale that’s plays out like a bad mixture of Titanic, 2012 and Gladiator, Pompeii is nothing more then a glamorous production with a badly weaved story. 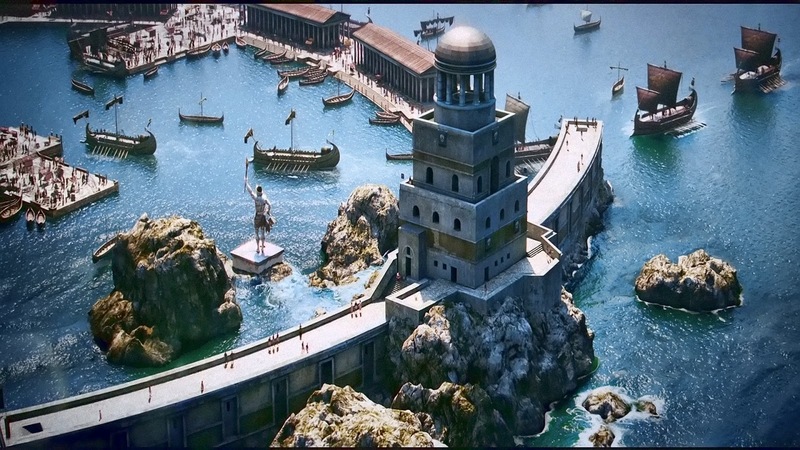 The film is quite impressive in terms of its scale and scope, recreating the beautiful city of Pompeii, which is simply stunning and impressive. A lot care and attention was undertaken in rebuilding this city for its onscreen debut. The narrative however, wasn’t given the same attention by any means. The story lacks imagination and thought, its completely derivative from so many other films before it. 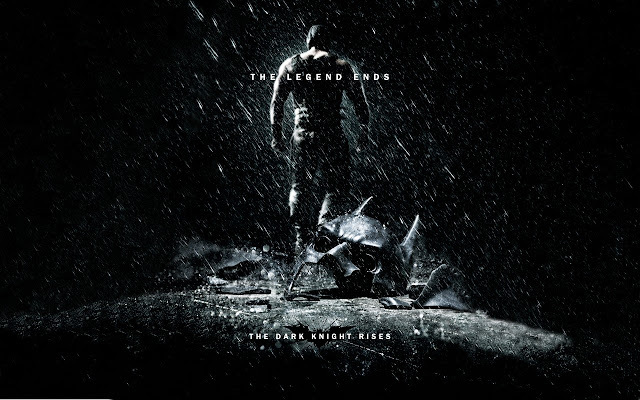 It tries to be romantic, it tries to be adventurous, action packed and dramatic, but it somehow it fails in all of it. The plot between our hero, Milo a slave and gladiator, and his true love, Cassia a princess of Pompeii, screams cliché. The developing love story between the two is so thinly written that you can summarize their relationship as love at first sight and not much else. 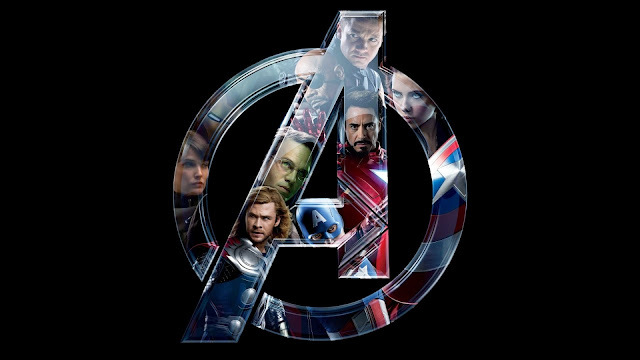 The action in the film is great, however, being PG-13 film really hampers it. Just watching the action it feels like the filmmakers were cautious, as they didn’t want to push the violence and blood, yet they have men fighting to the death for entertainment of film viewers. 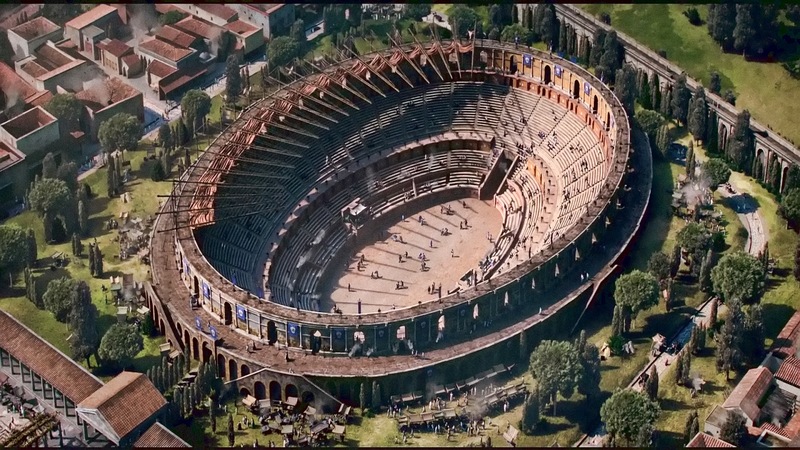 Doing a story that revolves around gladiators you would think the film would be filled with blood and guts, yet it seems stunted in order to be PG-13 but at the same time it wants to be 16, creating a sharp paradox within the film. The film doesn’t give us that many characters to care for before they meet their impeding doom, in fact the only character we do actually do care for is, Milo. The problem with that is when we finally get the big moment when Mount Vesuvius erupts, there’s no real sympathy for citizens of the city who lose their lives. You just watching what’s unfolding with no real care for anyone, simply wondering where Milo is and how will he get out. The climatic battle between our heroes and villains is actually quite anti-climactic, given the fact that they decide to face off in a dual while an erupting volcano destroys the city. Instead of first trying to save themselves, they decide to fight to the death even though it will cost them their lives. I was extremely dumbfounded as the big historical event of the Volcano Erupting took a back step to two men squabbling over a lady. For a film that’s based on one of the biggest disasters/tragedies in human history, the film did little to actually place some focus on it. One saving grace for the film though has to be the friendship between Milo (Kit Harrington) and fellow gladiator Atticus (Adewale Akinnuoye-Agbaje). Their relationship starts off with a bit of hostility, as Atticus is a Champion Gladiator who only has to win one last fight in order to attain his freedom, his opponent the young and vicious Milo. While the love story of the film is certainly weak to the point of non-existence, the friendship between Milo and Atticus is much better. 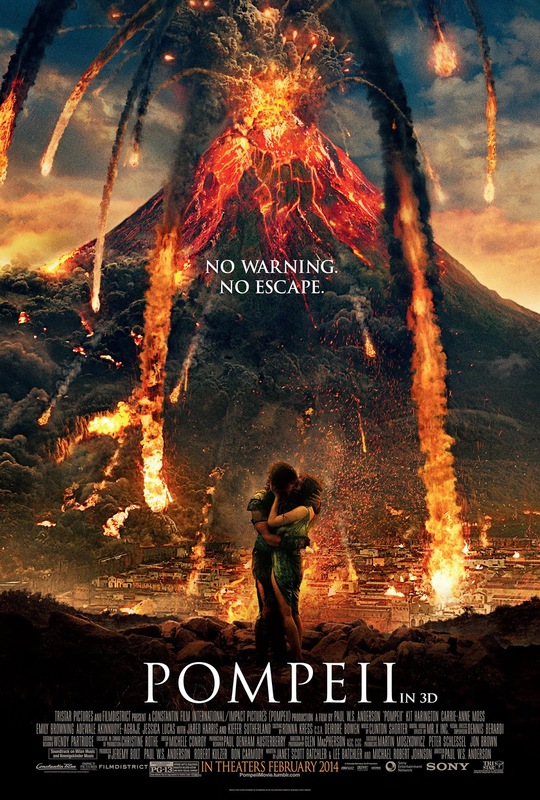 There certainly isn’t much to love about Pompeii, although it has amazing CGI and production values, the film fails at being a good story. 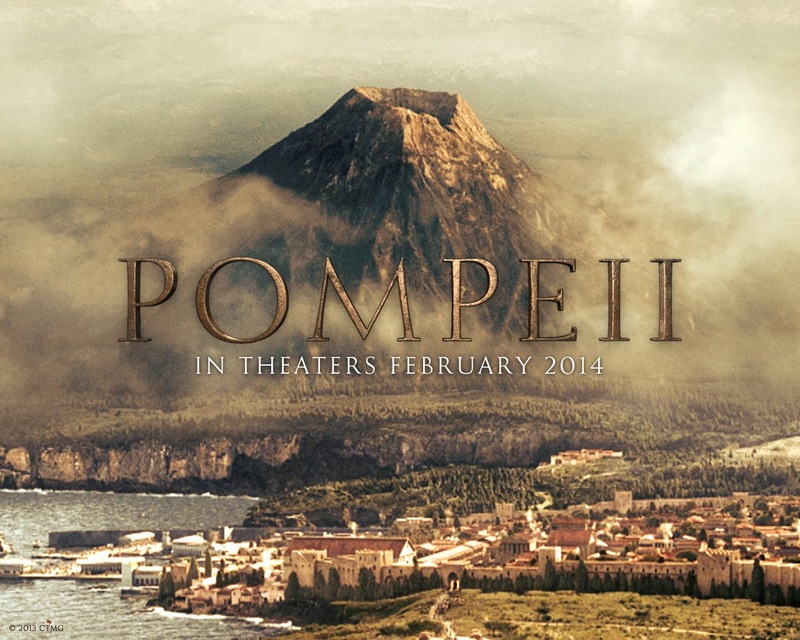 The real life tragedy of Pompeii is something that will never be forgotten, it’s a shame that the film will be.